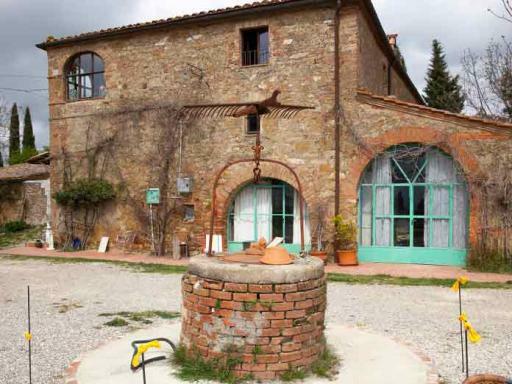 Enjoy incredible views over Tuscany! 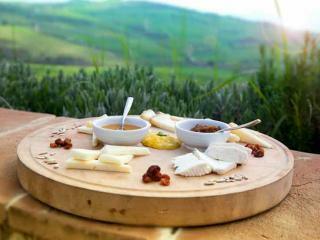 Tuscany has so much to offer in the way of food, culture, and scenery that it can be overwhelming. To help make it more manageable, embark on the perfect day tour with this Tuscany day trip from Rome. The day starts when your expert, English-speaking tour leader picks you up in Rome in a comfortable, air-conditioned vehicle and whisks you off to the Tuscan countryside. Your first stop is the UNESCO world heritage hill town of Pienza. Here you’ll wander the beautiful streets, seeing views over the countryside and shopping for food and wine if you wish. 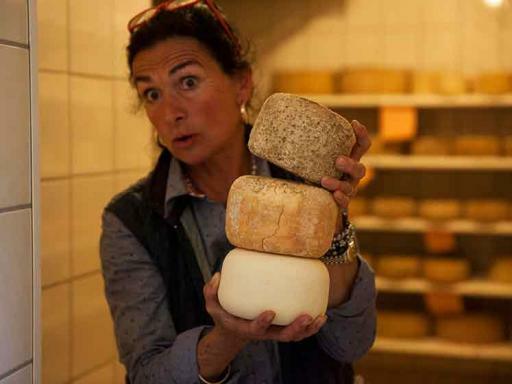 Your tour leader will introduce you to traditional Tuscan delicacies like pecorino cheese and wild boar, and point out the best ceramics stores. Next, head over to an organic, family-run farm. After a tour of the farm, including a chat with the resident cheese maker, it’s time to sit down for a Tuscan feast of local, seasonal ingredients straight from the fields. The meal is capped off with a full tasting of the farm’s best sheep and goat’s milk cheeses with homemade honeys and jams. 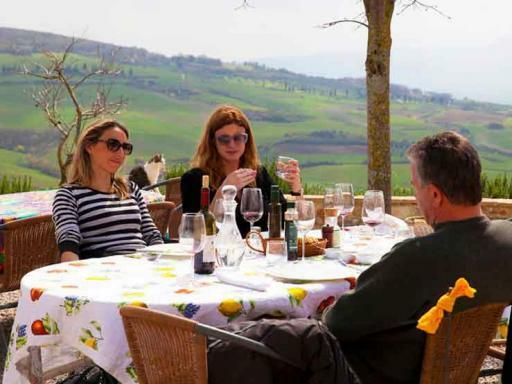 In between chats with the farm owners you will sip on local wines and enjoy incredible views over the famous Val d’Orcia region. 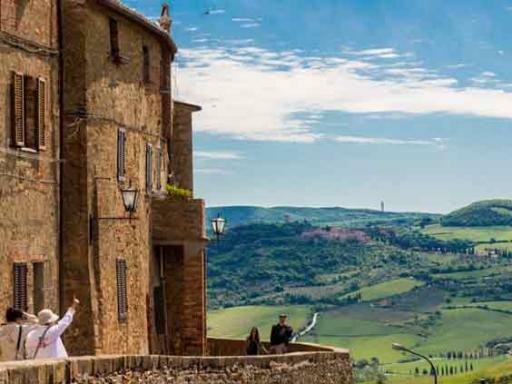 After lunch you will go to Montalcino, a hill town famous, among many other things, for its beautiful castle. With special, extended access tickets you can climb the lookout towers and gape at the views of the surrounding countryside or snap off a few pictures that will be the envy of all your friends back home. To end the day enjoy a visit to an award-winning vineyard for a guided tour of the vines and wine cellar. 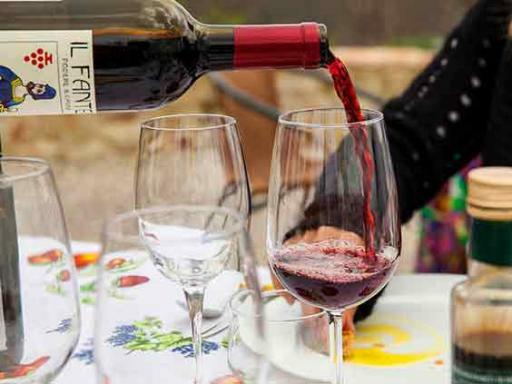 And what would a visit to a Tuscan vineyard be without a full tasting? Try a flight of some of the region’s best wines and feel free to buy a bottle or two (once again, with no obligation) to stash in your bag. We won’t spoil a perfect day with a large group. Enjoy an intimate group of 18 people or fewer with an expert, English-speaking leader to facilitate your journey and make introductions as well as an expert driver who knows the country roads better than anyone. Our goal is to give you a truly Italian experience that will leave you hankering for Tuscany long after you’ve returned home. Departure Location: Please meet your tour guide at caffè Piccarozzi which is located in Piazza della Repubblica, number 62. Check in Time: Please arrive at least 15 minutes prior to the tour departure time. Hotel pick-up/drop-off is NOT included. Please meet your guide at caffè Piccarozzi which is located in Piazza della Repubblica, number 62. Please notify us if you have food allergies or other special requirements and we will do our very best to accommodate you. Please ensure that all members of your party have a valid ID on them on the day of the visit. This is particularly important for guests who have qualified for child reduction. Can I use this tour as a transfer from Rome to Tuscany? 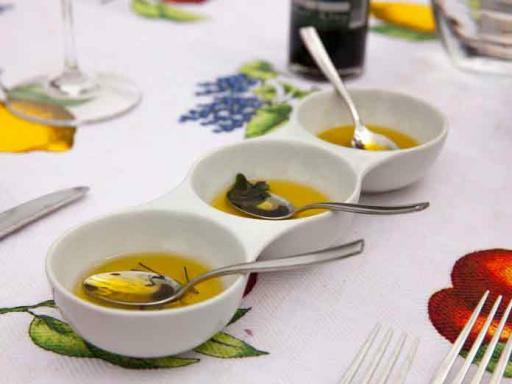 Unfortunately, this tour cannot be used as a transfer from Rome to Tuscany. Can I bring my child's stroller on this tour? Although the places you visit on this tour accomodate strollers they do not always have enough room in our transport vans to accomodate them. Please notify us after booking if you are traveling with an infant. Also contact us after booking if you require a car seat.